Oisin Hanrahan is the Co-Founder and CEO of Handy. Prior to founding Handy, Oisin founded MiCandidate, a service that provided real time political content to media companies in 25 European countries. He also founded Clearwater Group, a real estate development business in Budapest, Hungary. In 2009, Oisin co-founded The Undergraduate Awards, a foundation that supports and celebrates outstanding undergraduate students globally. Umang Dua is the Co-Founder and COO of Handy. Prior to founding Handy, Umang founded College Connect, an online platform in India that connected aspiring college students with enrolled students around the world. Earlier, Umang was a Business Analyst at McKinsey & Company. Umang earned a Bachelor of Arts degree in Economics and Political Science from Amherst College. Ignacio Leonhardt and Weina Scott were the first members of the founding team at Handy. After spending 9 months working with Handy, Ignacio moved back to Guatemala and is now running his family's business. Weina worked with Handy for 7 months, building the first version of the website, and now works on another startup in California. 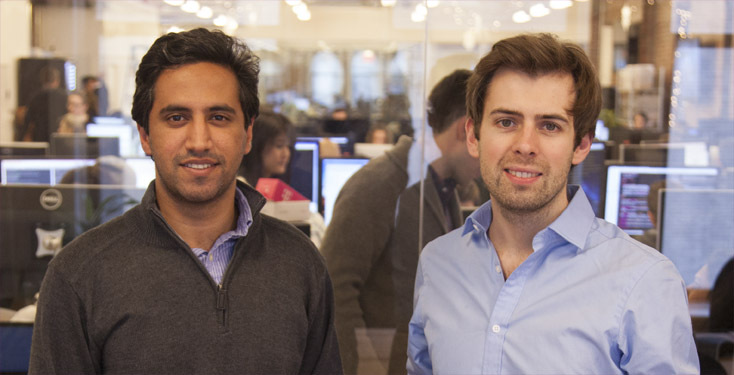 Bob Davis and Jeremiah Daly from Highland Capital Partners invested the first capital in Handy, followed by Joel Cutler and Nitesh Banta from General Catalyst Partners, David Tisch and Adam Rothenberg from Box Group, and Art Papas. Andrew Lurvey was Handy's first operations team member. Andrew joined Handy when we were four people in a small room. He spent two years working with Handy while we've grown to over 200 hundred people in 28 cities. Thank you to the many people who've subsequently joined the team and invested in Handy. It's because of your help that we're well on our way to changing the way the world buys services.